Paku Qi are unique art pieces that function as energy healing tools and can be used to support one’s energy fields. They may be of assistance during meditations, in crowded environments, day to day activities, and just for extra support. PQ helps with boosting, balancing and optimizing, stabilizing and fortifying one’s biofield. They radiate uplifting and healing scalar frequencies that works with the aura (bio-electromagnetic energy): which are subtle energy fields that permeate the living body. 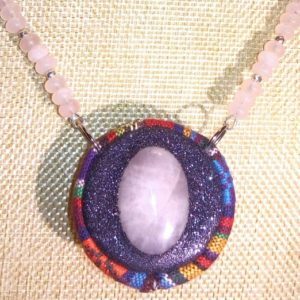 PQ enhances energetic flow throughout meridians, giving the wearer more vitality, and may assist in clearing one’s energy blockages. Harmoniks Incorporated presents our own “homegrown” BIOFIELD BOOST SYSTEM TM (scalar technology). 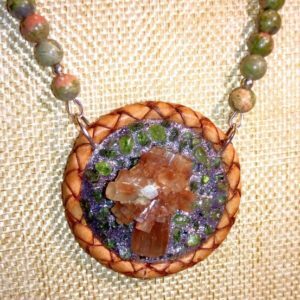 Our Biofield Boost System TM is a collection of frequencies that have imbued (programmed) for over 100 hours into our crystals and “Orgonite” material using a frequency generator. 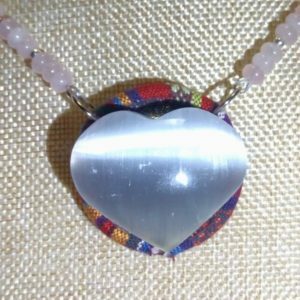 It affects the bio electromagnetic field of the human body creating uplifting synergistic vibrations. 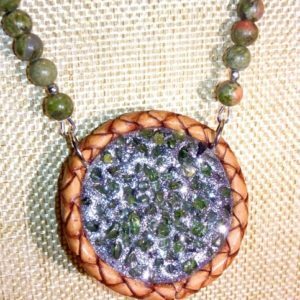 Paku Qi creates Quantum Crystal Talismans, which are “Orgonite” Pendants. Paku Qi’s “Orgonites” are made with a variety of harmonious, ultra-fine particles of crystals + metals encased in resin. Thank you 3x for your support! Each PAKU QI takes a lot of time and energy to create, with various design aspects to consider. Please allow each Personalized PAKU QI to take up to 30 days till final product is ready for shipment. 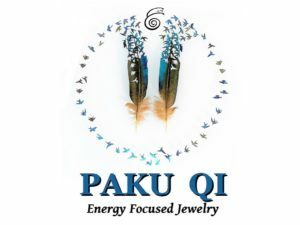 Prices vary depending on specific crystals/semi-precious gemstones used in your own Personalized PAKU QI.